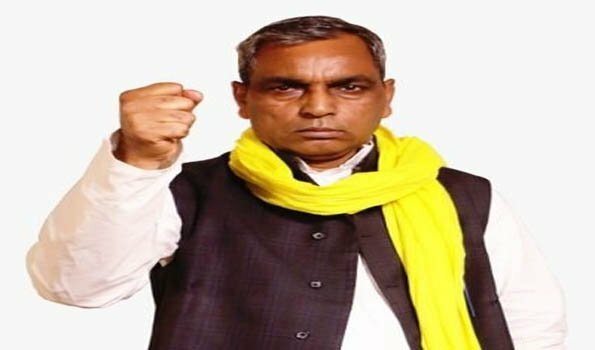 Varanasi: Sparking fresh speculations, Uttar Pradesh (UP )Minister for Welfare of Backward Classes and empowerment of 'Divyang-jan' and Suheldev Bharatiya Samaj Party (SBSP) chief Om Prakash Rajbhar on Thursday here said if his demands related to reservation are not accepted in the next 100 days, the leader and his party will quit the National Democratic Alliance (NDA) led by the BJP. Mr Rajbhar, who has on several occasions cornered the Yogi government on reservation and other issues, said while addressing the media here that if his demand of dividing 27 per cent reservation in three parts is not accepted, he will sever all ties with the BJP. He also said if he breaks away from the NDA, he will field his candidates in the upcoming General elections on all 80 Lok Sabha constituencies in UP and 16 Lok Sabha areas of Bihar. Referring to several violent incidents in Ghazipur and Bulandshahr, apart from other districts of the state, he said, "The law and order situation of the state has completely failed."